Welcome to the end of the rainbow, and delight in all of the glittering riches you have discovered! 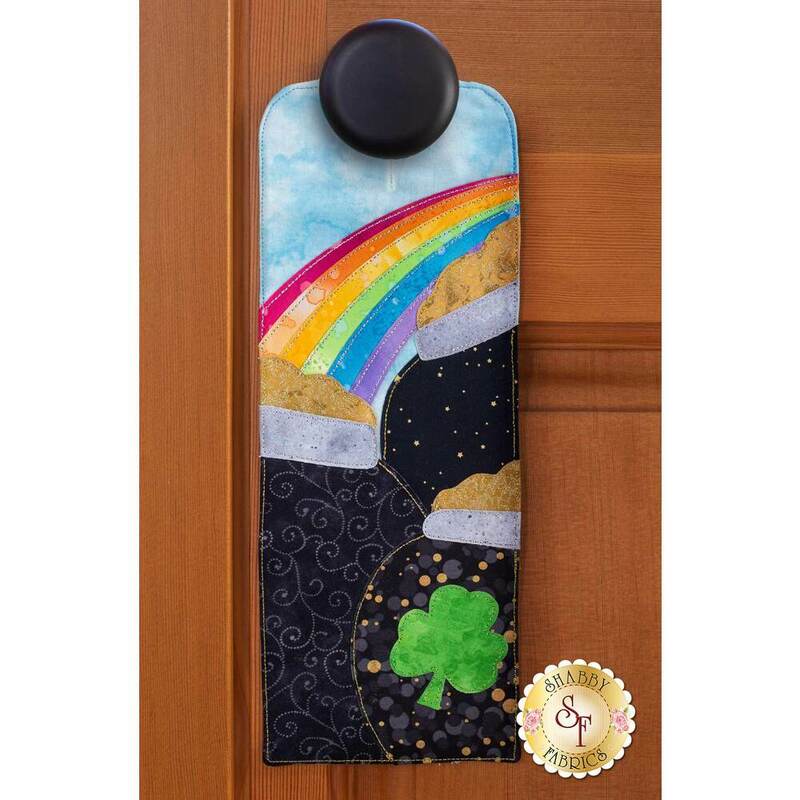 These pots o' gold are the perfect lucky charm for your home! 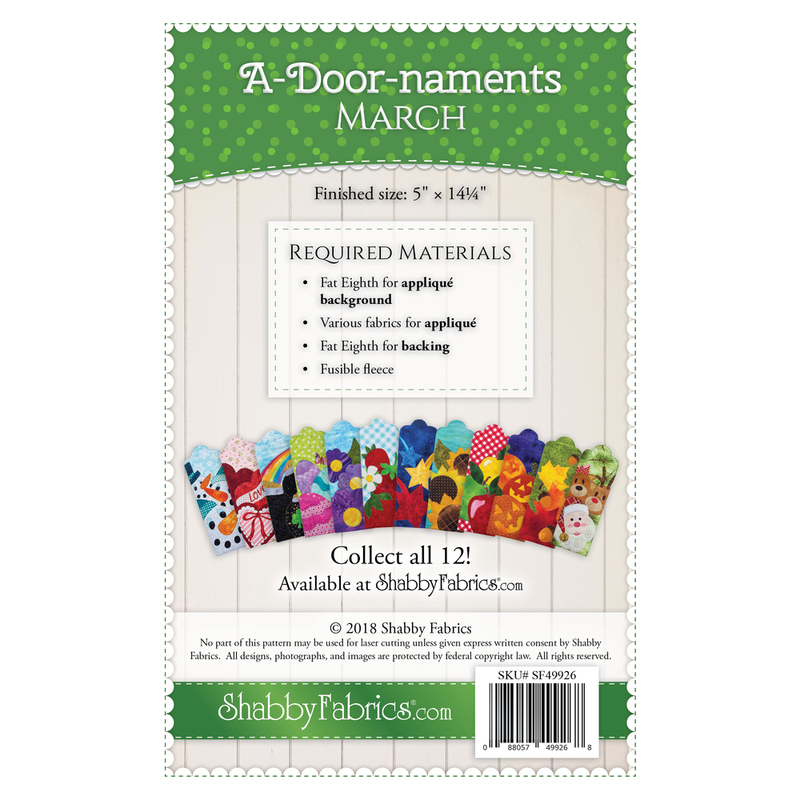 Instructions include two finishing options, one with a hole for a doorknob or handle, and another for a hanging sleeve to fit a 6" craft holder.